anything you can give me before that? Sorry, my research does not stretch to the C20th. Do get in touch if you find more details. 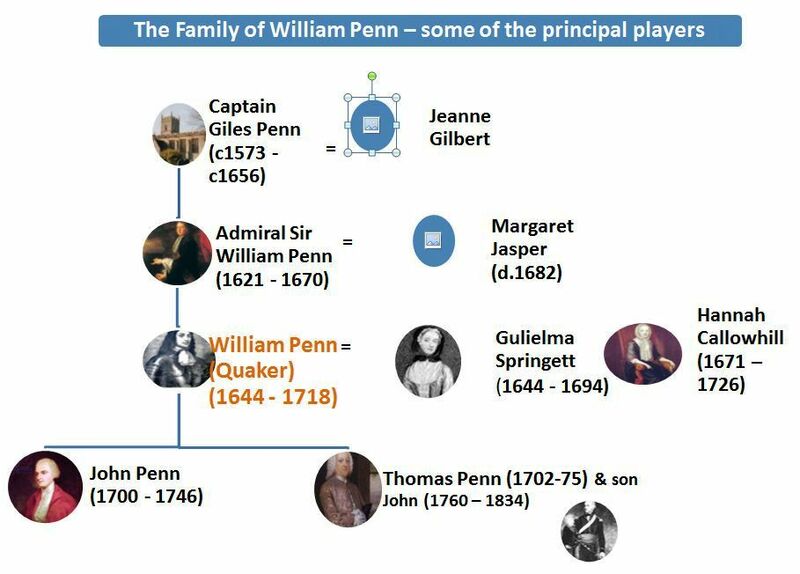 I’m related to William Penn through his grandmother, Alet Pletjes (Jasper). My 9th great grandfather was Penn’s first cousin Wilhelm Rittenhouse. I was told that we are descendants of William Penn through our grandmother’s side, however I only have information through great grandparents. Might you be able to help? My grandmother’s side is Quaker. Esther Borton Sanger b. April 1, 1893 in New York, d. February 1974 in Pittsfield, N.J.
Married Ernest Brown Sanger Jr. I remember her mother’s name as being Elizabeth, however we called her Ettie. I am finding it difficult to follow her line as I cannot find any link to Esther Borton. There a several links to Esther Borton Sanger though. The one link I did find says her father was Samuel M. and her mother was Elizabeth. I am imagining their last name was Borton as it was grandmother’s last name. I will be out of town for the month of August. Please contact me at etuttle01@gmail.com, thank you. My mother is related thru the Penn side. I have a bible of William Penns that was given to him from his mother. It has been in my family for many generations. I am more than happy to send you photos. Hi Debbie….thank you for getting in touch. Yes, I would love to see images of William Penn’s Bible….I look forward to hearing from you again.